The four men of the aptly named New York Polyphony fuse elegant vocalism with expert ensemble singing, delivering dynamic, historically-informed performances in a range of styles. From the simplicity of plainchant to the dense chromaticism of contemporary works, New York Polyphony’s sound is unified, energized and distinctive. 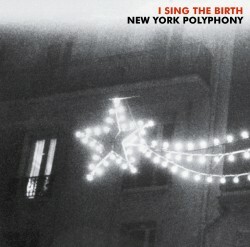 I Sing the Birth is New York Polyphony’s debut recording.